As expected, T-Mobile today launched a new offer aimed at getting people to switch carriers. It’s worth noting that your $200 discount will be applied in the form of monthly bill credits. T-Mobile also says that you must remain on qualifying service for this promo. 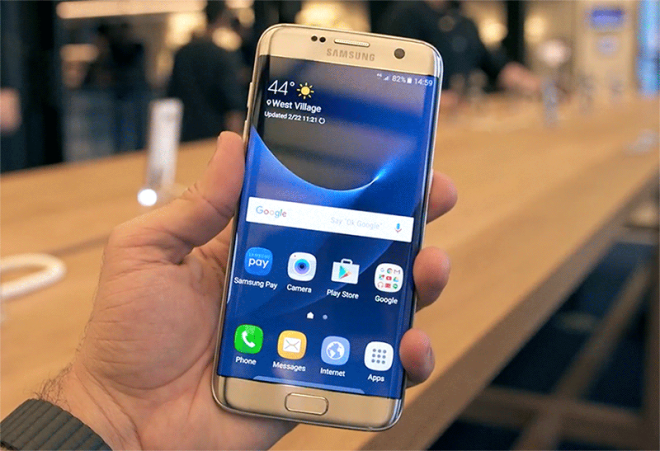 As I mentioned when this promo leaked earlier this week, while the GS7, GS7 edge, and Note 5 are no longer the newest phones in Samsung’s lineup after the debut of the Note 7, all three are still solid, high-end handsets. Unfortunately, this promo isn’t available to existing T-Mobile customers, but anyone that’s been thinking about jumping to T-Mo can take advantage and get significant savings on a new Samsung smartphone. UGH. I don’t like these kinda deals when it has to be applied monthly. I did it one time, and I’m still regretting it a year later. Too many requirements on this deal, but I guess it’s good if someone really wants these phones and they really want to be on T-Mobile. Let me guess, you can’t afford what you signed up for? And you didn’t pay your bill. Now your bills are consistenly past due? And you’re always on the phone giving CS a hard way to go, because you can’t understand that you didn’t pay your previous bill on time? You know: ala: WHY IS MY BILL SO HIGH? How is that #TMobiles fault? Um that’s really not necessary. These monthly “billing” requirements are nothing less than a scam. I did one for the “free” tablet (kids just use it, i have an iPad), and just upgraded my MHS line to it (not cancelling it) and it’s worked out OK for me. but i can see where this comes up kind of sharky as it’s still locking you into 24 payments – aka contract – without calling it as such. I’ve been with T-Mobile for 15 years and rarely have had and issues. At one time their customer service went to crap and I looked to change carriers but Verizon was more expensive and Sprint is just bad out here. If I go in a store or call I feel like a valued customer. They go out of their way to make things happen. People need forget that it is a business and they need to maintain or increase profit margins or the next guy catches you. Cell phone market is brutal and a constant fight to steal customers. I would advise people if you don’t like the service or plan go to another carrier. Weather the plan is BS or not stop complaining cause you signed the bottom line so how is that anyone’s fault but yours and then people come here and complain about bad plans. Lol you are a real clown, and you are telling your story not mine. The return of contracts…ish…This promo stinks like the “free” phones.